Does the job search process make you nervous? If it does, that’s common. Applying for a job can be intimidating but knowing what employers are looking for in applicants can prepare you to be a good candidate and boost your confidence. Whether you are a current student or a graduate looking to fill a position, these five points are helpful to keep in mind. 1. Your resume should be clear and concise. On average, recruiters spend about six seconds looking at a resume. Connect your current skills with the specific job qualifications. At times, this requires you to make a few changes to your resume when applying for different positions. You should review your resume at least three times and, if possible, have a professional look at it, too. Cover letters vary depending on where you apply. “Do your research to find out what your company wants. 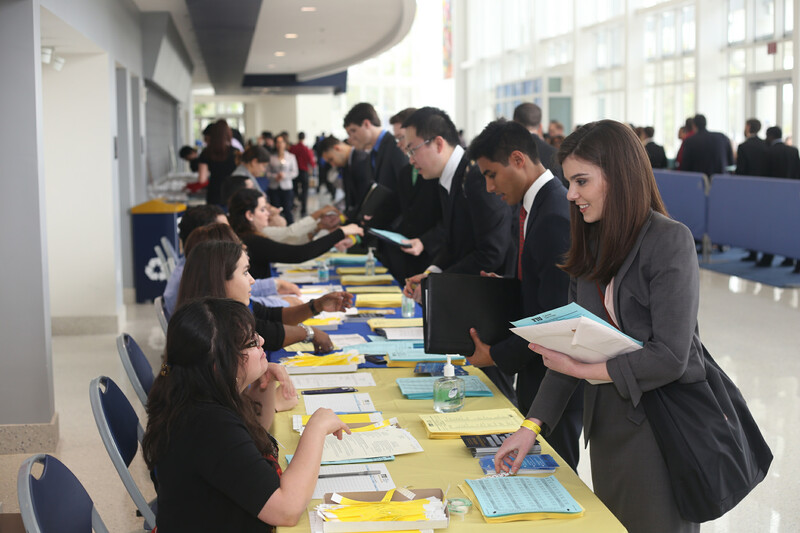 This gives you an advantage,” said Anamile Buendia, assistant director of internships for FIU Career and Talent Development, at a career readiness workshop held Feb. 28 at MMC. 2. LinkedIn is the tool used by recruiters. It gives you exposure by promoting yourself in the professional realm. With more than 400 million members, the amount of opportunities are endless. “It’s like a Facebook for professionals,” Buendia said. Career and Talent Development offers students free professional headshots for a LinkedIn profile picture. 3. Sometimes, it’s not about what you know but who you know. Building and maintaining professional relationships can be beneficial to you. Networking can include building relationships with professors, guest speakers or even classmates. You never know who will recommend you for a job. 4. Your appearance speaks before you do. Business attire is crucial for an interview. “We are extremely observant and always watching. I can tell a lot about someone based off of how they dress,” said Ian-Ruth Clarke, Target’s executive team leader for human resources, who was a guest speaker at the workshop. 5. Practice your elevator pitch. Introduce yourself to someone in 30 seconds. In this time span, you should have shared the most important information about yourself that would be of interest to a potential employer. This is beneficial for the beginning of an interview, giving you an opportunity to distinguish yourself from other applicants.